Now you have the chance to obtain a beautiful house located in the middle of the charming and well-kept courses of Peuramaa Golf. 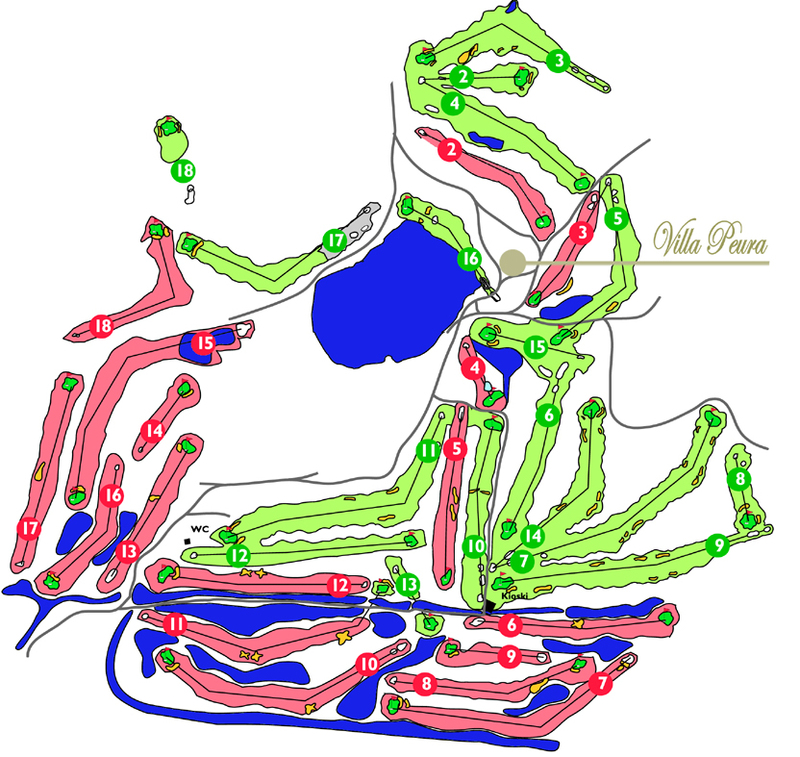 The new owner of the Villa will also acquire two shares of Peuramaa Golf and a golf cart. Imagine being able to go playing a round of golf, right in the vicinity of your own house! Whatever your favorite sport may be, the surroundings of Villa Peura offer a wide range of choices, around the year in all four seasons. Right around the corner, you will find the Peuramaa ski resort, Vigner’s horse stable, a lighted jogging path, and in the winter well maintained skiing tracks. Nature is part and parcel of Villa Peura: beautiful, extensive views from the yard open straight to the nearby lake and to the surrounding golf courses. Although in the heart of nature, Villa Peura is not far away from shopping and culture, either. 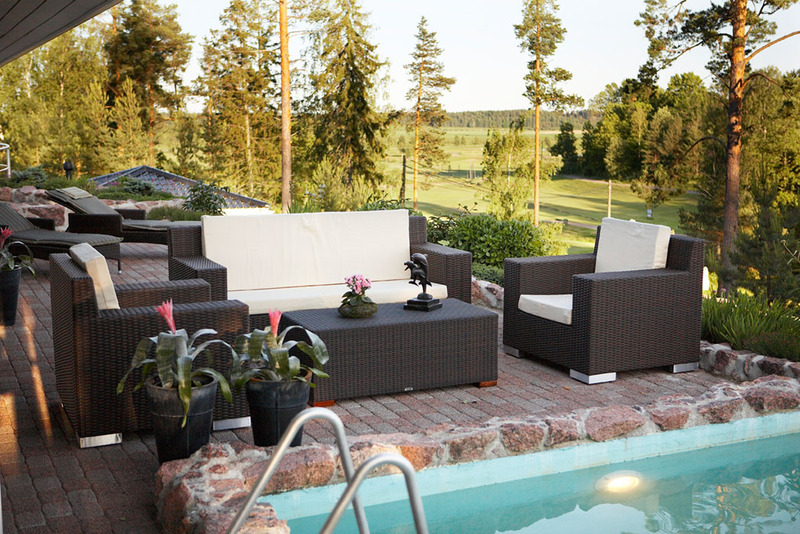 The center of Kirkkonummi is just five kilometers from Villa Peura, and to Helsinki it is only 29 kilometers. Department stores and boutiques, the opera and concerts, the various sights of maritime Helsinki, restaurants and the lively night life are just a short drive away. And after all the hustle and bustle of the city, it is all the more enjoyable to return to the serenity of Villa Peura.